Earlier this month I was reading an article in ‘The Smithsonian‘ on sourcing gold in Peru. And while the gold bug seems to have abated a bit, if I look at it from a purely anecdotal point of view, it still fascinates me how some people are beholden by it. I used to get quite a few questions about it but not in at least the last year. Even though it has no intrinsic value outside of it’s proxy as a monetary symbol, we nonetheless place a premium on it’s value: Just look at it’s valuations since ~ 2000. 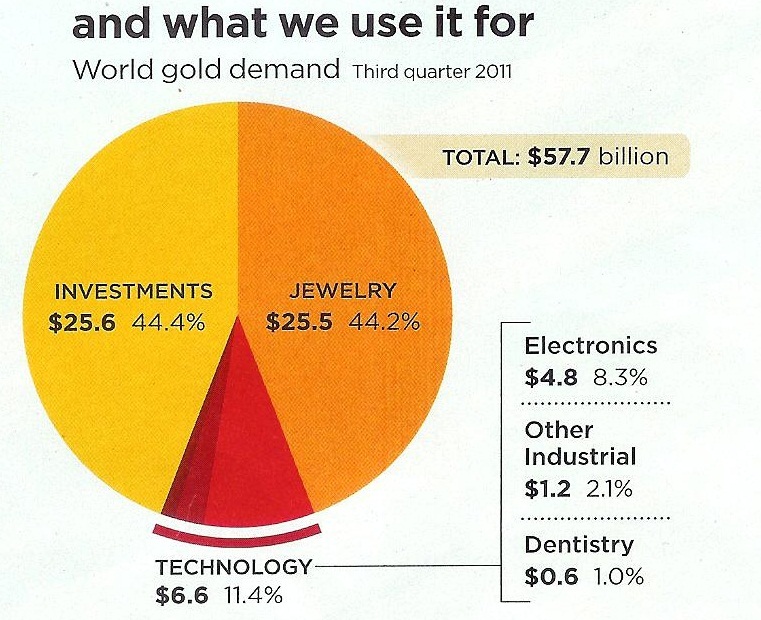 It’s no surprise that almost half of gold’s use is in investments. 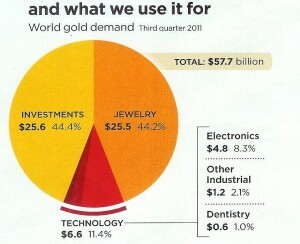 It surprises me that at 44.2%, it’s use in jewelry is almost the same % as investments. Perhaps that’s my personal bias coming into play, as I don’t really ‘consume’ fine jewelry. But what might be surprising is that 11.4% is used in Technology, with 8.3% (or 72%) in Electronics! One might consider the diversification that gives to gold’s value, since it isn’t as heavily weighted in it’s value as an investment. 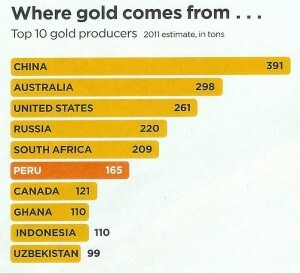 I was surprised to discover that China is the world’s biggest producer!